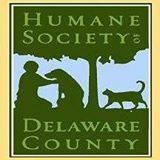 The Humane Society of Delaware County will have an old-fashioned “afternoon tea party” at 2 p.m. Sunday, June 28, at the home of Len and Janie Weidner in Sunbury. A “fancy hat” contest will be part of the event. Humane Society officials encourage all women and girls to wear pretty dresses, fancy hats and summer gloves. A prize will be awarded for the best “fancy tea party hat.” Gentlemen and boys are also welcome to attend in their Sunday best, they said. Finger food will be served, as well as desserts provided by Enticing Icings and Custome Cakes. Door prizes will be awarded and tours of the Weidner home will be provided. Admission is $20 per person. Guests should be 5 years old or older. Seating is limited. Reservations can be made by mailing or dropping off a completed form to: Humane Society of Delaware County, 4920 State Route 37 East, Delaware OH 43015. Reservations can also be made online at www.hsdcohio.org/teaparty. The Weidners’ address will be provided with a confirmation letter. For more information, call 740-369-7387.